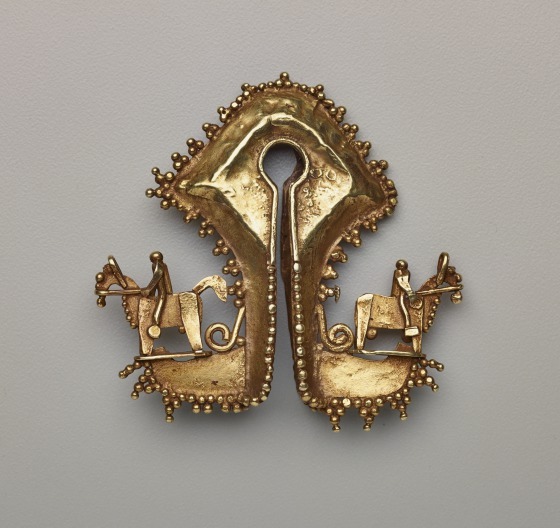 In West Sumba, women wear the mamuli either as an earring or as a pendant. The simple cleft-diamond shape of the ornament, which resembles the Greek letter omega, contrasts with the lively clusters of tiny balls decorating it. The broad, flat extensions, or “feet,” at the bottom are characteristic of examples from this area. Small horsemen on the feet face in opposite directions; they are simple yet animated. 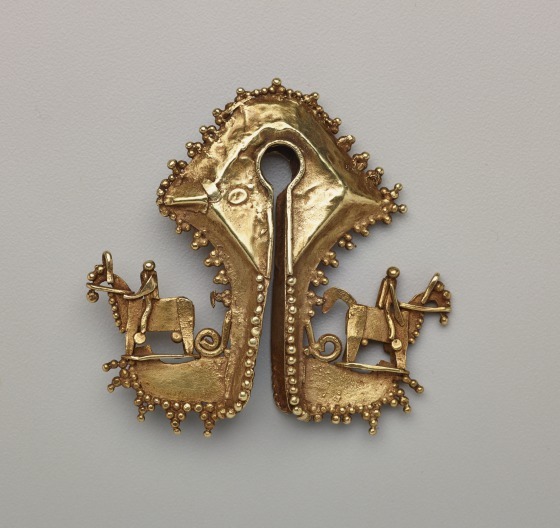 Horses, which were symbols of wealth and prestige throughout the island, were traded to the Dutch for gold coins that served as the raw material for gold ornaments. Roslyn A. Walker, Label text, 2013.